Strojirny Rozmital is a traditional Czech company, which was established in the year 1913. The factory was originally created principally for the production of electric motors, air-delivery systems and steel furniture. Since 1946, agricultural machines have been the main items of production. Large expansion of the agricultural machinery production took place thirty years ago, when Strojirny Rozmital bought the license for the rocker arm camshaft mechanism from the German company Stoll. 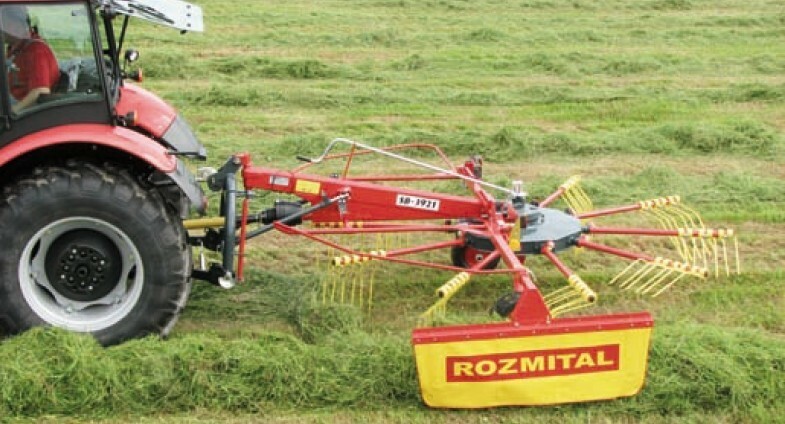 Up to the year 1989, Strojirny Rozmital had a monopoly in the production of tedders and delivery rakes in the former Czechoslovakian market in terms of agricultural machinery. Despite current competition, our machines are still market leaders and production of these machines continues to this day. A range of rozmital tedders are available, with working widths ranging from 4.5 metres to 8.9 metres. Want more information? Please contact us! Single rotor rakes with working widths from 3.6 metres to 4.9 metres are available. Want more information? Please contact us! Mid-row twin-rotor rakes with working widths between 6.8 metres and 8.5 metres. Want more information? Please contact us! Two lateral rakes available with working widths of 5 metres and up to 8 metres. Want more information? Please contact us! Capable of tedding and raking, these machines have an operating width of 3.5 metre whilst tedding and 3.2m whilst raking. Want more information? Please contact us! For additional information about the Rozmital Grassland Equipment, feel free to download the brochure (below) or please do get in touch with us. 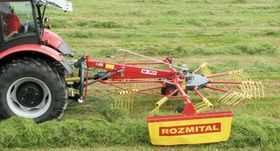 Would you like to find out more about the Rozmital Grassland Equipment range? Call us on 01886 853 637 or fill in the contact form below and we will be in touch.